Petersite has to be one of my favorite stones. The colors of browns and caramel going through the stone make it look so rich that this focal gemstone will be the most beautiful piece you own. 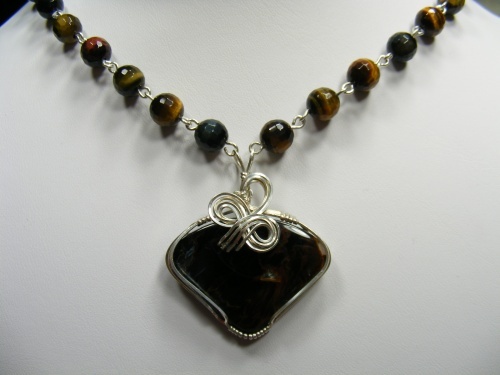 The necklace stones are multicolored tiger eye and has a complimentary pair of matching earrings. Measures 18" long.